The ruling NRM makes sure that running as an opposition candidate is as tough as possible. But rival parties have not done themselves any favours either. Campaign posters for the NRM primaries in Uganda. Credit: Maxence. Despite predictions that the upcoming elections will be Uganda’s most closely contested in a generation, few analysts expect anyone but President Yoweri Museveni to come away with the top political prize. Veteran opposition leader Kizza Besigye and former Prime Minister John Patrick Amama Mbabazi will be hoping to cause an upset when voters go to the polls on 18 February, but the expectation is that the incumbent will soon be adding to his already 30 years in office. However, it is not just in the presidential poll that Museveni’s rivals look set to be disappointed. It seems likely that in parliamentary and local elections too, the opposition will find it tough going and will struggle to erode the ruling National Resistance Movement’s (NRM) huge dominance in parliament where it holds 259 of the 385 seats. Campaigning against the NRM is always a gruelling and sometimes dangerous affair given the ruling party’s enormous financial advantages, control of state institutions, and tried and tested tactics of threats and vote-buying. The country is awash with reports of brown envelopes and new cars being traded for support, while rival candidates face arrest and intimidation, as seen yesterday when Besigye was briefly detained by police. However, when it comes to local elections, these tactics are compounded by further challenges. To begin with, the financial costs of running are high and were made an astronomical 15 times higher recently when parliament decided to increase the nomination fee for parliamentary candidates from 200,000 Ugandan shillings ($60) to 3 million ($900). This considerably benefits NRM candidates who have access to state resources not just for these fees but campaigning more broadly. Additionally, due to NRM control of regional budgets, if opposition MPs are elected, they often find it difficult to access funds for local projects while in office. This can lead to perceptions of poor performance which makes it more likely they will be voted out in the subsequent elections. As one voter in an opposition area told African Arguments in a previous piece, “This time I am not going waste my vote. This time I am voting NRM so that my village will also get some new roads.” In fact, Museveni strongly encourages this feeling in his speeches, blaming voters for not “voting wisely” by electing opposition MPs, who he says are responsible for under-development in their areas. Given these many pressures, opposition hopefuls frequently struggle, and many candidates prefer to run as independents rather than risk intimidation during the polls and the squeezing of resources after elections that typically comes with being in opposition. However, while these constraints are clear to see, that is not to say the opposition is completely powerless itself. In fact, if it had been better prepared, these 2016 elections might have presented one of its best opportunities yet to chip away at the NRM’s majority. Last year, when Mbabazi, a former PM and NRM insider, decided to stand against his long-time boss, many believed it would shake up the race. The Democratic Alliance (TDA), a coalition of seven opposition parties and two pressure groups, hoped that the combined clout of Mbabazi and Besigye could truly challenge Museveni, and it moved to nominate a single presidential candidate around which the opposition could mobilise. Ego and distrust ultimately undermined this process, with Mbabazi and Besigye deciding to run on separate platforms. But crucially, this failure also effectively ended attempts to cooperate in local and parliamentary contests. TDA was arguably first and foremost an anti-Museveni movement, meaning that it was always likely to focus on the presidential race. This perhaps makes sense in that Uganda’s political system heavily favours the executive branch and invests huge power in the presidency. Nevertheless, the simple failure to coordinate effectively in the local and parliamentary polls with TDA’s demise is a missed opportunity for the opposition more broadly. Greater success in local and parliamentary elections would not promise the same degree of change that winning the top job would, but increased representation would in theory improve access to finances which are allocated proportionally to the number of seats held, raise party funding through MPs’ contributions, and expand opposition influence over the legislative agenda. 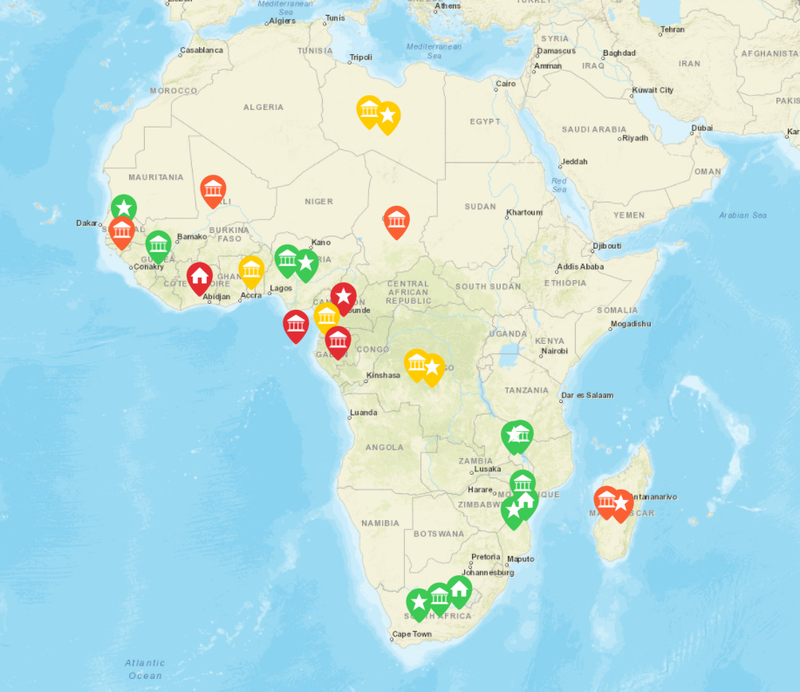 Local party offices are also predominantly funded by MPs, so having an opposition parliamentarian means greater party visibility at a local level, improved mobilisation capacity, and higher likelihood of winning future elections. Yet in many races now, the lack of coordination means that several opposition candidates are running against each other which could easily split the field and pave the way for narrow NRM victories. In Masaka municipality, for instance, three separate opposition figures are all running in a race that the NRM is keen to win. In Soroti, an overflow of competing candidates could also end up being lose-lose for the opposition. And in Kitgum, the phenomenon of the opposition stepping on its own toes was encapsulated in the figure of incumbent Beatrice Anywar, who switched from Besigye’s Forum for Democratic Change (FDC) to Mbabazi’s Go Forward before ending up as an independent; voters who had wanted to re-elect Anywar might reconsider after the confusing debacle. Moreover, while some race are being inundated with opposition runners, the failure to organise and cooperate means 91 seats are not being challenged at all, handing the NRM a significant head-start before the polls even open. This state of affairs would always be unfavourable, but with the rise of independent candidates in the 2016 elections, the opposition may be particularly rueing its shortcomings. 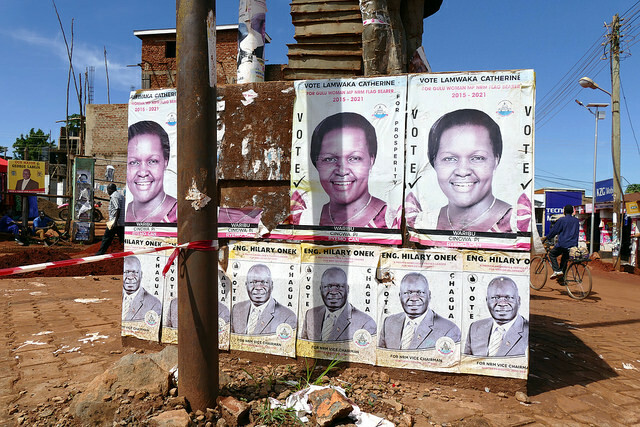 The number of independents running in Uganda’s elections has increased considerably in 2016, largely due to factional battles within the NRM. In the ruling party’s 2015 primaries, 104 sitting MPs lost their place as party flag-bearers as over 2,700 contenders competed for just 400 constituency seats. The fallout of this process, which was marred by irregularities, contributed to the fact that there are now some 907 candidates running as independents. The opposition could arguably have capitalised on this influx of disaffected NRM cadres and attracted them to run as the nominees for their own parties. This was indeed the expectation among some observers, though it was always going to be easier said than done. Given the myriad pressures imposed on opposition parties during elections, most independents have few incentives to formally align with them during the races, preferring instead to remain unaffiliated and sell their allegiance to the highest bidder when elected. However, the rise of independents could have helped the opposition’s chances in a more indirect way. Given that many independents are former members of the ruling party – and sometimes even former NRM MPs – many races will see official NRM flag-bearers competing against NRM-leaning independents. And like in the races in which several opposition hopefuls could split the vote for the NRM to profit, there are many contests in which multiple NRM-affiliated candidates could split the ruling party vote. A joint opposition parliamentary candidate with strong support could feasibly have taken advantage of this. As the elections edge nearer, opposition campaigns continue to be top-heavy and centred on the presidential race whilst neglecting local and parliamentary contests. The rhetoric used by Besigye and Mbabazi around the country, for instance, tends to focus on the failings of Museveni and his regime without offering serious critiques of local dynamics. This is a serious oversight given the highly localised nature of voters’ choices and the high turnover rate of incumbent MPs, 65% of whom were not returned to office in 2011. As Andrew Mwenda says, reflecting on the urban bias of the opposition, “People in Kampala think that voters across the country look at the problems with national outlook. Yet for many voters, elections are about local issues”. Furthermore, when it comes to local and parliamentary candidates that have openly joined with the opposition, the parties have not always made that perilous decision worth it for them. For example, what remains of the TDA – now rebranded as TDA-Uganda, having joined forces with Mbabazi’s Go Forward platform – has said that it will be fielding 280 parliamentary candidates and 1,492 local government nominees. But it is uncertain to what extent these candidates are being supported by the group, especially after it was reported that Mbabazi slashed his campaign spending by 41% in December. That reduction of funds might make sense if the former PM believes that he is now unlikely to defeat Museveni in the presidential race, but the effect on the parliamentary and local contests is that several members of the TDA-U are now accusing him of failing to live up to promises to fund them and may turn their backs on the coalition. The opposition in Uganda struggles to attract and retain the best candidates as the NRM ensures that running against the ruling party remains a risky and difficult business. But as the 18 February polls fast approach, the opposition has not done itself any favours either. Opposition parties may still record a strong showing, but if not, they could end up regretting a missed opportunity. I am privileged to get the most important and partial information about my country on the upcoming general elections. I agree with you NRM will also do or die to make sure they emerge winners in this elections come 18 Feb 2016. One senior African journalist said, ” African politics the process of election is actually selection”. The parliamentary and lower council elections are only important if you have the presidency. Thats what the opposition is focusing on given the intimidation and threats they face. Even if the parliament was full of opposition, parliament here would do nothing if Museveni is still in power. the main thing is to first get him out of the way, and I think the opposition have, real chances of winning this election.